Looking for the advantages of a well-appointed crossover with seating for seven? 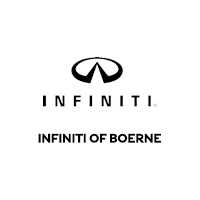 The INFINITI QX60 serves up premium features and a generous interior for New Braunfels drivers looking for an elevated option for their families. It's available with a wide variety of accessories, and it even compares favorably to top competitors like the 2019 Acura MDX. Entertainment Options - Kids can enjoy movies and games with dual 8-inch screens while parents enjoy music up front with the Bose® Cabin Surround® sound system. Motion Activated Liftgate - Enjoy hands-free convenience while loading cargo in San Marcos. Second-Row Sliding/Tilting Seat - This unique feature allows easy access to the third row for passengers or cargo storage. Interested in making the INFINITI QX60 your next family vehicle? Use our monthly payment calculator to personalize a payment option that works for you.